I was the valedictorian of my class of 1962 at Chanel High School in Bedford, Ohio—a school that no longer exists. First it changed its name to Saint Peter Chanel, then, some years later, the Catholic Diocese of Cleveland shut it down. Even though I was in excruciating pain from a tumor that was pressing on my optic nerve, I still read as much as I could. On weekends, I would take the 56A bus downtown, stop in at Schroeder’s Bookstore on Public Square, and then spend some time at the main library, which was built in 1925. These are not bad titles for the time. I probably would have added something by Iceland’s Halldor Laxness and Portugal’s Fernando Pessoa, but these are mere cavils. 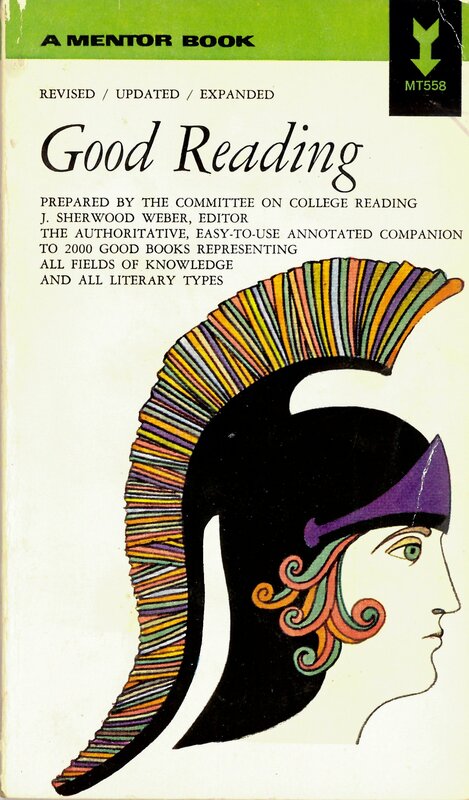 Thanks largely to this book, my attention was directed to great writers in every field. And the book covered more than literature: There was also history, philosophy, religion, anthropology, physical sciences, and other subjects. I was such an earnest young student. Even while on the bus, I would pore over books such as Norman Lewis’s 30 Days to a More Powerful Vocabulary and Word Power Made Easy, taking all the quizzes in the books over and over until I got a perfect score. Despite all the physical pain, I had a good childhood, starting with what my loving parents gave me and adding what I could along the way. The rain in Mexico, that humid rain-jungle kind of rain with flashy colors and limes and the idea that if you got jungle rot, the tentacles of the carnivorous vines would cover you up, dead—that Mexican rain, I have to think twice about. I have tried to love all rain, but I don’t know about jungle rain. The tropics are not for me. Birds with flaming plumage and fruits with neon-pink centers in the rain—I bet if I had to have even two unbroken days of that, I’d slip right out of my mind the way that missionary did over Sadie Thompson. 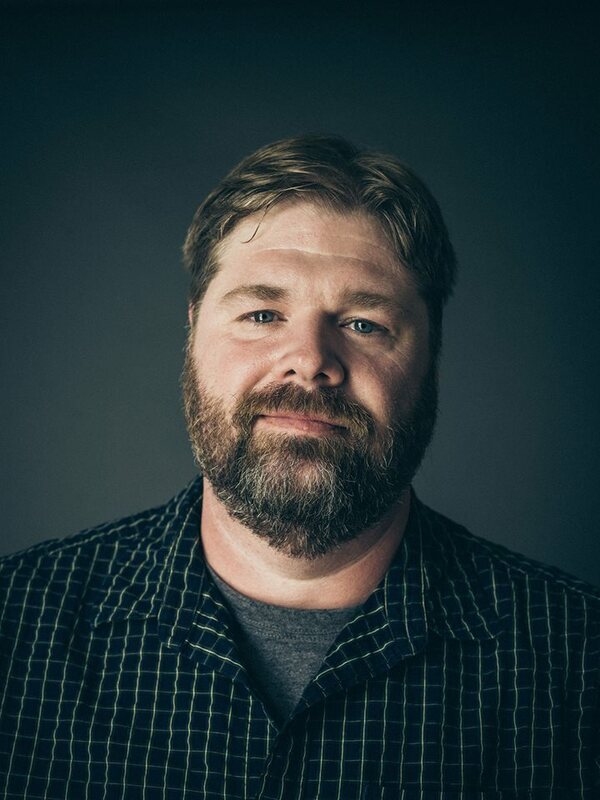 I’d rather just be Sadie Thompson and get it over with, but I’m afraid I’d turn into a Calvinist in hot rain, with transparent underlying motives and a worm-eaten, jungle-rotted Bible as my brain’s downfall. Last year, I saw two incredible jungle storms. The first was while I was waiting to change planes at Sao Paolo, Brazil: I saw this huge front coming fast from the northwest, dumping rain in buckets. By the time my plane arrived, it was all over. The second one was in Puerto Iguazu. 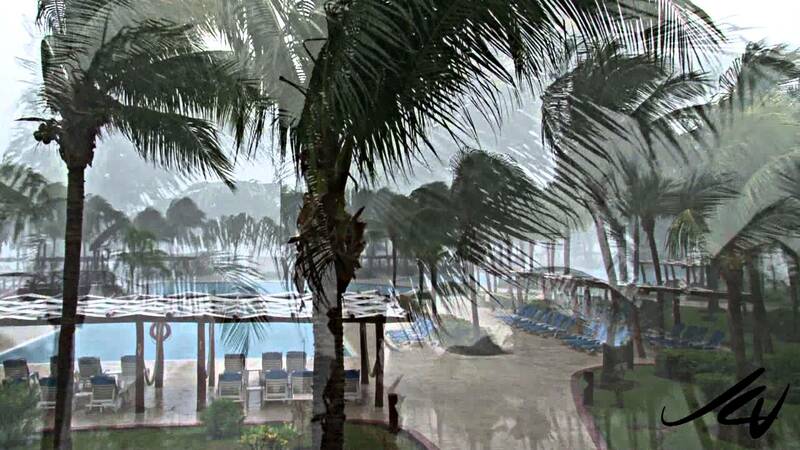 I sat under a colonnade by the pool as the storm hit quite suddenly, dumping large amounts of rain and hail. I just sat there sipping a bottle of Quilmes while the hotel staff ran around frantically to bring in the chairs. That, too, lasted about an hour. 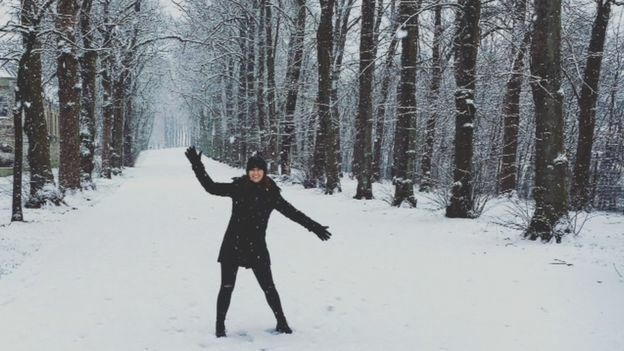 While it was storming, the air was deliciously cool … but once it stopped, then …. 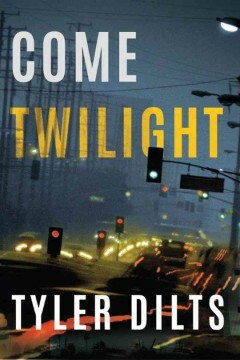 Actually Tyler Dilts is more of a Long Beach writer than an L.A. writer. I find that exciting because he writes about an interesting locale about which most people know very little. There have been writers about Beverly Hills and Hollywood before, but both places are way too enshrouded in their own myths. Long Beach is the 36th largest city in the United States, and the 7th largest in the State of California. It is an interesting city in its own right, and it is large and diverse enough to sustain a series of crime novels set within its borders. All four feature Long Beach Homicide Detective Danny Beckett and his partner, Jennifer Tanaka. Beckett. In the first novel, Tyler’s wife dies in a car crash on Intersate-5. In the second book, Danny is sidelined with pain in his hand to his shoulder for an entire year, but he manages to go on. At the opening of the new novel, Danny’s come to terms with much of what was haunting him in the first two books, but a murder he investigates—a homeless man who is burned to death by a group of teenagers—tests his resolve, especially in mourning his late wife, who also died by burning. Danny’s the kind of detective who carries the weight of the past with him. It’s a quality that is certainly not healthy for him, but it keeps him connected to the victims of the crimes he investigates and allows him to maintain a sense of empathy. He knows that it is his greatest strength as a detective, so he can’t bring himself to let go, even though he’d be healthier and happier if he did. As for the fourth book, I am reading that now. What I like about the Danny Beckett novels is the empathy he feels for the characters with whom he comes into contact. He himself lives a life of occasionally disabling physical pain. Yet he works well with his colleagues in the LBPD and with both witnesses and even suspects. While there is no romance as such between Beckett and his partner Jennifer Tanaka, there is a closeness and mutual consideration that could potentially develop into one. My father was Sheriff’s Deputy for Los Angeles County. He worked in quite a few different capacities—in the county jails, on patrol, as a trainer at the academy, and as a detective. I think I realized that I wouldn’t follow in his footsteps sometime in high school. But I didn’t know what path I would take until I got to college and discovered theatre. I got my BA in Acting and Directing and spent several years working in theatre in LA. I’m a big guy and found myself getting typecast, so a good friend, after hearing me complaining about the fourth time I played Lennie in Of Mice and Men, suggested that I start writing my own plays. That led me back to grad school, this time in English Lit and Creative Writing. In a way, writing about Danny Beckett feels like coming full circle and returning to that desire to follow in my father’s footsteps. Dilts is still early in his writing career. I look forward to following it with great interest. When I went to the Getty Center last Sunday, there was a traveling exhibit of the mostly landscape paintings of Pierre Etienne Théodore Rousseau. I had never heard of him before. I even asked one of the docents whether that was the same as Henri ”Douanier” Rousseau. Then, when I saw the paintings, I realized that here was a very different artist. 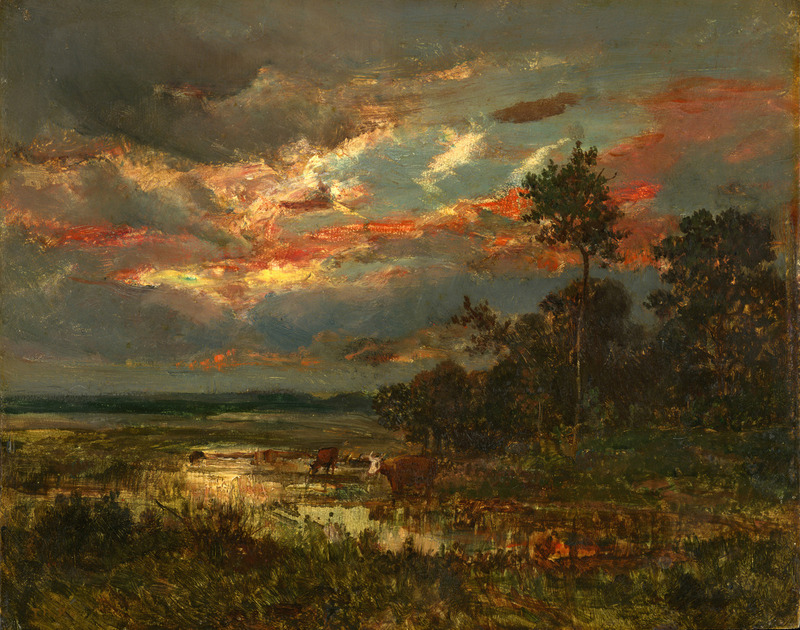 Théodore Rousseau painted nature as she is seen, not as a manicured garden. Here were trees that were alive and dominated the landscape. And man does not figure as a dominant force in most of his work. 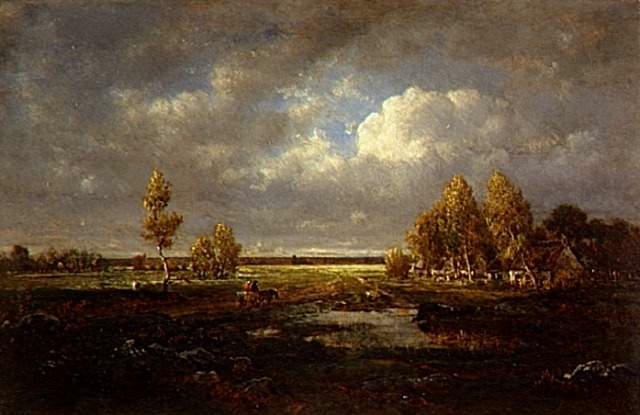 Étienne Pierre Théodore Rousseau (1812-1867) was considered to be a painter of the Barbizon School, which takes its name from the village of Barbizon near the Forest of Fontainebleau, where many of its adherents would gather. Their work was marked by “its tonal qualities, color, loose brushwork, and softness of form” according to Wikipedia. After all these years, I am getting a little fatigued with many of the impressionist painters; so it was a relief to see someone who work made me stop in my tracks admiring an artist who was new to me. According to Futility Closet, where I saw this story, Sweden had some calculation problems in switching from the Julian to the Gregorian calendar. 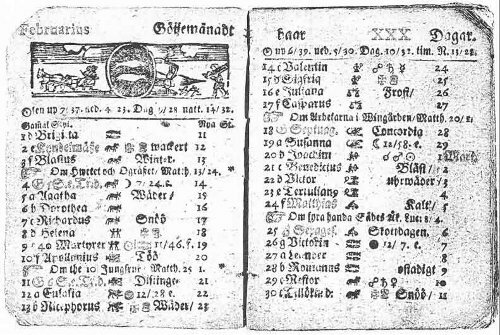 At first, they omitted all leap days between 1700 and 1740, but in 1712, hey decided to have both a February 29 and a February 30. It was not until 1753 that the Gregorian calendar was fully implemented. Until then, there remained a lot of confusion. Speaking of which, has Sweden ever had any notable mathematicians. Just wondering. When I was a young lad, I was paralyzed with fear every time I had to go down an escalator. I didn’t mind going up one; but going down, I saw how far I had to fall. My parents and my brother made fun of my fear. Eventually, I confronted my sense of terror and had no more trouble. In today’s China, escalators can kill. 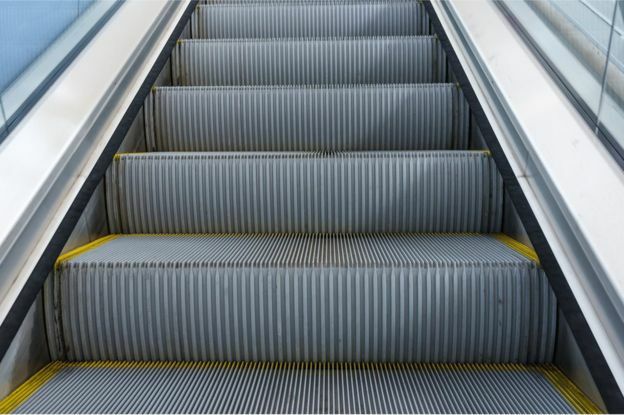 There are stories of people stepping on the floor panel either at the start or the end of their ascent or descent, and having the panel break, plunging the victim into the works of the escalator and crushing him or her to death. See the YouTube video by clicking here. Nowadays, back in the U.S., I am usually more annoyed by escalators being out of service for long periods of time. At the Central Library in Los Angeles, the up escalators to the second and third floors have been out of service for months. At the 7th Street Metro Center, the topmost up escalator to the 7th and Hope exit has been down for at least two weeks for “preventive maintenance.” This leads me to wonder if escalators are just getting too expensive. The name of this poem is “Errata,” written by the Serbian-born poet Charles Simic, who in 2007 was appointed as Poet Laureate of his adopted country. As an Eastern European myself, I find myself drawn to poets like Simic, Czeslaw Milosz, Wislawa Szymborska, and Joseph Brodsky. Perhaps it is because, in their struggles with the vise-grip of Communism, they found a way out.